Fig. 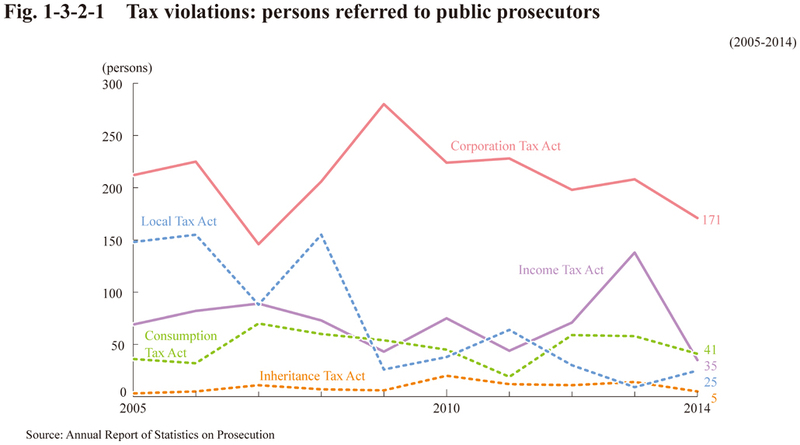 1-3-2-1shows trends of persons referred to public prosecutors for violations of the Income Tax Act (Act No.33 of 1965), the Corporation Tax Act (Act No.34 of 1965), the Inheritance Tax Act (Act No.73 of 1950), the Consumption Tax Act (Act No.108 of 1988), and the Local Tax Act (Act No. 226 of 1950).